We have added the abillity to attach one or more images to exam answers! This can be useful for quizzing course takers on proper technique, signs and signals, action sequences, etc. 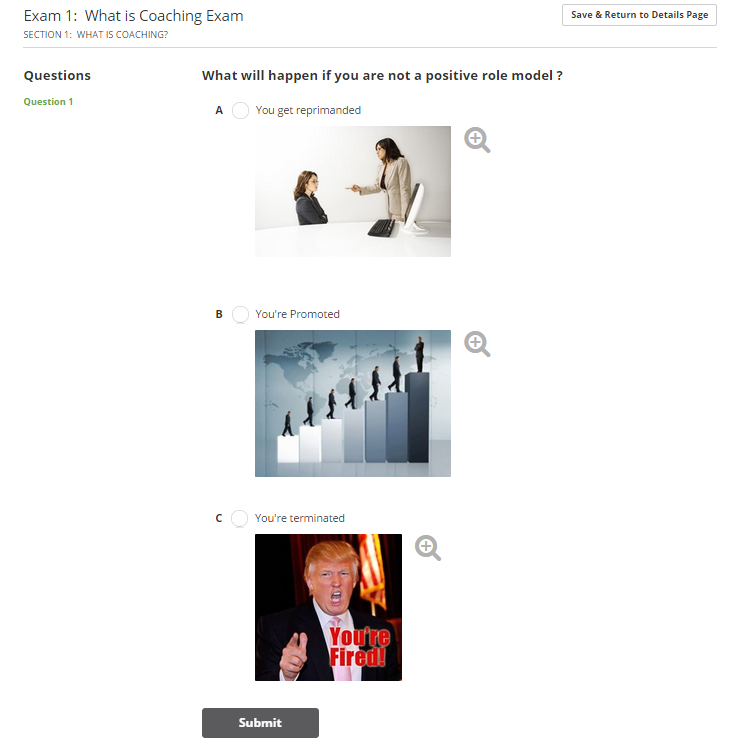 When you create an exam question, at the end of the answer line you will see an add image icon. Images will automatically be resized to a standard size, but can be clicked during the exam to expand to full size for closer inspection.